While DevOps is predominantly understood in terms of automation scripts and standard configuration templates for deploying infrastructure, EnterpriseWeb, a platform provider, tackles the larger problem domain of orchestrating any kind of distributed process (e.g. Cloud, IoT, Network). Instead of a narrow IT focus, the team behind EnterpriseWeb saw the need to raise abstractions to the application layer to help organizations bring order to their increasingly diverse, distributed and dynamic environments. With the explosion of new technologies, accelerating rate of change and agility demands of the business, enterprise IT has struggled to keep up with requirements. Today most business solutions are composite applications that involve many touchpoints across lines of business, IT silos and organizational boundaries. At the same time many IT budgets are shrinking. It’s clear that IT needs to do more with less, but how? As information sources fragment, managing the explosion of endpoints becomes harder. We live in a new age. The methods of the 20th century cannot solve the problems of the 21st. Transformation requires a re-think of application architecture. EnterpriseWeb was launched in 2009 to radically simplify distributed computing. It handles all the complexity of being parallel, asynchronous, reliable, stateless, immutable, multitenant, so organizations can focus on their business. The platform supports real-time, data-driven, policy-controlled processes. It provides a unified architecture with shared libraries, tools and services to support ‘smart,’ highly-connected, and scalable human, system, infrastructure and device workflows. 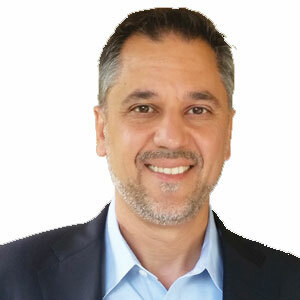 “Instead of simply representing, ‘Yet another Tool,’ EnterpriseWeb serves as an application fabric that brings together federated and heterogeneous IT assets for visibility, automation, and policy-based control,” says Dave Duggal, Founder, EnterpriseWeb. The platform enables organizations to rapidly link disparate sources existing Web-Services, APIs and Microservices representing systems, databases, devices, and machines in a loosely-coupled enterprise web (hence the name) under common management. Instead of syntactically connecting endpoints in a tightly coupled manner, EnterpriseWeb supports semantic interoperability; every endpoint is represented by a metadata object, which declares the endpoints dependencies (connection details, backing stores, constraints,) to the platform. EnterpriseWeb harmonizes the representation of objects to developers, enterprise architects and business users, abstracting complexity to improve interoperability, accelerate solution delivery and change management, and enables consistent policies over disparate endpoints (e.g. Security/Identity; Business Compliance, IT Governance). The system presents a logical store of data and code. All objects, regardless of type and location can be searched from a single dashboard or API. Human and system agents can navigate dependencies between objects. A common object security model can be applied globally. Higher level objects (entities, functions, data models, process models, etc.) can be composed simply using links and metadata references. All objects are version-controlled, indexed and tagged automatically. • In the Telecom industry, EnterpriseWeb has been recognized as “Most Innovative” virtualization solution. It’s enabling Carrier Virtualization by providing high level abstractions over SDN and NFV, allowing them to focus on customers, products and billing as opposed to implementation details. The company’s award-winning CloudNFV solution takes its hallmark DevOps, Service Velocity and Business Agility to the Telecom market. • A large SAP integrator is developing next generation ETL and Data Migration Tools powered by EnterpriseWeb that support flexible interoperability with SAP stack while avoiding expensive and time consuming customization projects. • A leading Academic Medical School uses EnterpriseWeb for a unified Research Management portal, dynamic human processes, integrated administrative processes, and proactive enforcement of regulatory and institutional compliance. EnterpriseWeb offers a bold solution for a brave new world. EnterpriseWeb is as a platform provider delivering enterprise class applications at web-scale, driving more dynamic, connected, and adaptable business operations.